Today morning one of my friends called me to review his blog. Though he is newbie, it is an awesome blog. After that, he asked one simple question. He wants to display his oldest blog post first and the latest articles at last. He wants to know how to do it in blogger and also curious to know whether it will ruin Search Engine Ranking in future. I thought it is a simple task and must have an option on the dashboard. However, when I check blogger settings, there is no option to show older posts first. The only option I saw is changing the order of Blog archive and set archive in a way to show the last published article first. I searched in Google community and their experts say till now blogger does not add a feature to rearrange blogger posts in a way to show last published articles at first position. They also discourage webmasters to tweak the blogger code to alter this by warning them about possible issues in the future. Though Blogspot does not provide any option, we can arrange older published articles first by a simple trick. Though the method I am suggesting is very simple, it can be boring if you want to do it for multiple posts. 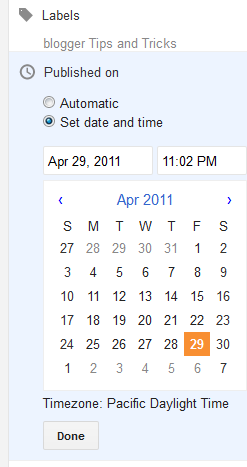 This is about manipulating blog post publishing date and time. If you set the publishing date of an older post with most recent date and time, it will come automatically to the first position. You can do the same tip to all the posts and bring them to first positions. It has no effect in current SEO because your blog posts do not lose the URL structure. Now let us check how to do it. Click Done button after changing the date. Now you need to select the old article (which you need to bring to the first position) and click on Edit. Now you will go to the Blogger post Edit page. Here you can change the post published date and time. To bring this old article to the first position, you should change the existing post date with current date. After changing the post date you should click on Publish Post. Now, this post will be in your blogger home page as the latest post. By this method, we can reverse the order of article publishing. 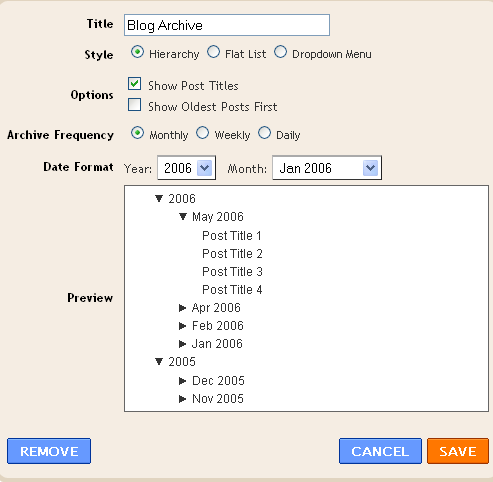 If you are looking for a method to show older articles first in the blog archive, you can do it very easily. To do this follow the steps below. Click on Edit link near "Blog Archive"
Now onward blog archive show the oldest posts first. Now onwards blog archive show the oldest posts first. This post is very helpful for new bloggers who are having hard times in creating their blogs. I hope you continue writing about blogging techniques. That's nice, but it could really ruin the format of your blog. That'd only work if you're making a short story that progresses per blog entry. But anyway, that's a nice tip! Can you please provide or share any script in order to show old post first. Because I am getting confused with your provided approach to changing dates. And please remember I have already tested some script on it but failed to get my goal. There is no proper method allowed in blogger interface to show the oldest published post as first post. Only working solution available is to set the date of the oldest post as today.